Do I need an attorney to help with my insurance claim for wind damage? High winds are a common source of costly damage to homes, businesses, and other properties across the United States. In fact, it’s not unusual for property owners to file a wind insurance claim at some point in their lives, and it’s often important to the policyholder that the claims be paid in full under the policy so repairs can be completed promptly. But, in these situations, do you really need to get a lawyer involved just to get fair payment for the wind damage to your property? The good news is that many wind damage claims can be easy enough to settle fairly and quickly without the help of an attorney. The bad news is that this isn’t always the case, so it makes sense to look for experienced help when you aren’t getting the results you need. The real trick is to know when to look for outside help with your claim. You don’t agree about the damage. You believe your home was damaged by recent high winds, but your insurance company claims it's old damage. You believe high winds caused deeper damage to your siding, but your insurance company’s inspection only took surface damage into account. There are a lot of viewpoints regarding damage during negotiations about a wind insurance claim, and even minor disagreements about the type or extent of damage can make a huge difference in the outcome. You don’t agree about your coverage. You believe your damage should be covered under your policy, but the insurance company disagrees. You believe that your roof requires replacement, but your insurance company will only pay for repairs. In these kinds of situations, having someone review your claim who is experienced with coverage issues and insurance industry practices can be a big relief. Your insurance claim for wind damage is denied, and you don’t understand why. Insurance companies may deny wind claims for a number of reasons, but that doesn’t mean you should just accept a claim denial that you don’t understand or agree with. If your claim has been denied, an attorney can help you determine the reasons for the denial and fight for the payment you deserve. An insurance company acts in “bad faith” when handling your claim. An insurance company acts in “bad faith” when it unfairly denies, delays, or underpays a claim or otherwise doesn’t “play by the rules.” In these cases, an attorney can help you understand your rights, build a case against the insurance company, and file a lawsuit, if necessary. Ultimately, don’t accept a settlement you are unhappy with until you have investigated your rights with an experienced legal professional. If your property has severe damage, or if your insurance coverage is complex, you might also benefit from speaking with an attorney even before you submit a claim. This can be especially helpful for claims involving farms, commercial buildings, condos, and other properties that often carry many layers of coverage. Insurance company representatives sometimes tell policyholders that hiring an attorney will slow down their claims or eat up their settlements, but the truth is that an attorney can help you fight for the fair outcome you deserve. In many cases, attorneys offer a free case review to talk about the problems you’re having, even if you later decide that hiring an attorney isn’t the right solution. If you think you might need help with a wind insurance claim, learn more about how to find the best attorney for your insurance claim case, or you can contact the Voss Law Firm today at 1-888-614-7730 for immediate answers to your questions. How do I settle an insurance claim for wind damage? Sudden windstorms leave homeowners and business owners in difficult situations, especially if they have to add struggles with the insurance company to their list of problems. That’s why it’s best to be prepared. Even when a hurricane or tornado isn’t present, high winds can cause severe structural damage. So no matter how serious it is, from a few missing shingles to a total loss, it’s important to be ready to work with the insurance company—even if you don’t expect much of a fight to settle your claim. Although you probably expect to review your policy and fill out some paperwork, you might not anticipate the amount of footwork necessary to make sure your claim is settled efficiently. There are some things you must do as a policyholder, but there is also additional information you might like to prepare before an adjuster visits. To help you get started, here’s what to know about settling your claim. Check your property. If there have been high winds in your area, check your property for any damage to the exterior of your home or business, including roofs, windows, doors, and siding. You might consider contacting a professional who has the right tools, equipment, and knowledge to identify problems. Review your policy. Read over the most current copy of your policy to get a better idea of your potential coverage and what the insurance company requires from you. Contact your insurance company. If you notice anything damaged, notify your insurance company of the loss. Also use this opportunity to ask questions about your coverage, your deductible, how long it might take to resolve your claim, what information you need to submit, if certain contractors are required, and so on. You should be able to leave the call with a good understanding of how to get the ball rolling. Consider temporary repairs. Check the damage to your home or business and determine if temporary repairs are needed to keep damage from getting worse. Take pictures of the damage before you get started, and make sure an insurance company adjuster doesn’t need to see the building in person beforehand. Save all receipts and documentation from your temporary repairs. A list of personal property that has been damaged. Make a list of all items damaged by the windstorm, and keep this with any relevant receipts. Don’t replace, repair, or throw away these items before an insurance adjuster completes an evaluation. You might also want to keep photographs of the damage for reference. A reminder of what needs to be seen on the walk-through. Make a list of everything you want the adjuster to see, including damage to the roof, general structural, outbuildings, pools, and more. This helps you remember to mention some of the lesser damage and know that everything is thoroughly covered during the visit. Copies of all communication and documentation. Make copies of any documentation you send to and receive from the insurance company. Hold onto all receipts, including those for temporary repairs or housing while you’re displaced. Also confirm that you have a current copy of your insurance policy. Repair and replacement estimates. Get repair or replacement bids from several contractors, and don’t overlook potential “hidden” damages from the storm. These might include damage to HVAC systems, damaged shingles, small leaks, and other issues. If possible, request that the bids include itemized details of the projected costs. By taking the time to gather this information and prepare for the adjuster’s visit, you give yourself a much better chance to resolve your wind insurance claim quickly and fairly. Having Trouble Reaching a Fair Settlement for Wind Damage Claims? Although these kinds of issues can be frustrating, it’s possible to overcome the challenges and still get what you deserve from your claim—but you will probably need help. If you have questions about a homeowner’s insurance claim that you believe has been unfairly delayed, denied, or underpaid, don’t hesitate to reach out to our experienced policyholder attorneys today at 888-614-7730. What if I don’t have proof of personal items in my home before a hurricane? Preparing an inventory list of the personal belongings in your home saves time and money after a major storm. We recommend that everyone should create a descriptive list of items and update it regularly. However, if you’re worried that you don’t have any proof of the personal belongings you lost in a hurricane, don’t panic. When you don’t have an inventory list, you can still receive compensation from your insurance claim, simply by using other forms of evidence to prove how your property was before the storm and that you owned certain items. Bank account and credit card statements. For most homeowners, major purchases are made by check, check card, or credit card. Luckily, banks and credit card companies allow clients to access several years of their statement records online. You can also request a hardcopy of your archived records for proof of purchases. However, since many financial institutions switched to paperless archiving to save money, be prepared for this request to take some time to fulfill—usually a couple of weeks—and possibly require upfront processing fees. Photographs. If possible, go through your family photos and the photos on phones and digital devices. If you have any photos of you or anyone in your family with the items that were lost in the hurricane, you can submit the photos as evidence for your insurance claim. Whether the photo is focused on the item or simply shows it in the background, it can be helpful. Photographs are also useful to show the exterior or structure of your home prior to the storm, so consider supplementing your inventory list in this way. Videos. Video footage is another helpful tool to catalog your personal belongings. Although it might not be the first thing that springs to mind, many homeowners have video clips of their personal items saved on their phones, digital devices, and cameras, especially from the holidays. For example, if you have a Christmas video showing a new flat screen TV, that video could serve as proof that you owned the television. Videos expand upon photographic proof because they often show several items in the same clip, as well as how they were arranged in your home. If you have questions about what kind of documentation your insurance company needs for personal belongings, call your representative. If you’re unable to get the answers you need from the insurance company, you also have the option of consulting with an attorney for help preparing an inventory of your home’s lost contents after a hurricane. If you didn’t have a home inventory prepared before the hurricane, you may still be able to collect insurance payments for your personal belongings, but it’s likely your claim will take longer to resolve. Factor in the time it will take for you to collect all the proper information, and then how much additional time the insurance company needs for review. Because so many people and properties are usually affected after a hurricane, this also compounds delays in the response from insurance companies, contractors, and others entities that play a part in preparing and settling your claim. However, if the insurance company has stopped responding to your questions, or if your claim still isn’t settled after waiting for months after the storm, it’s important to start inquiring about reasons for the delay. To understand your rights when an insurance company unfairly delays or denies a claim, you can speak to a knowledgeable attorney with the skill to handle policyholder concerns. At the Voss Law Firm, we have extensive experience helping home and business owners determine proof of what items were lost or damaged in a storm. We encourage you to call 888-614-7730 today with your questions and concerns. You may also find it helpful to request a complimentary copy of our book, Your Essential Guide to Residential Claims. What should I do if my home is damaged by hail? Hail storms are an unfortunate downside of living in Texas. But while hail itself is a necessary evil of living in the Lone Star state, that doesn’t mean you should have to settle for less than fair payment for hail damage to your home. Insurance providers can be reluctant to pay out for damage done by storms and weather, but there are a few things you can do to strengthen your claim. The first thing you should do after your home has been damaged is read through your entire insurance policy. It is important to understand what is covered, but also what specifically is not covered. If you don’t understand portions of your policy, you should call your provider and have an insurance adjuster explain them until you do. DO report your claim as soon as possible. Notify your insurance company of the damage to your home in writing (by mail, fax, or email) as soon as you can. You do not need to estimate the dollar amount of damage or send evidence in your first notification. When you receive a response, be sure to write down your claim number. DON’T destroy the evidence. While it’s understandable that you would want to throw away damaged and ruined items and repair your home, your insurance company will need a clear picture of what you have lost to provide payment. If hail damaged your roof and led to flooding in one room of your home, take pictures of all of the ruined items and keep them in a safe place. Make a list of all the damages to the building, rooms, and contents of your home, and estimate the dollar value of each one. Do this even if the insurance adjuster comes out immediately to view the damage. DO mitigate the damage. Homeowners policies may cover the damage done by hail, but not any damage that could have been prevented afterward. If hail has broken a window, take pictures of the entire area and place a tarp or sufficient covering over the hole. Do not perform any permanent repairs until your adjuster has viewed the damage. If your homeowner’s insurance provider is attempting to deny or underpay your hail damage claim, we can help. Contact our experienced policyholder attorneys today or learn more about your case in our free book, Your Essential Guide to Residential Claims. How can I better prepare myself in case my home or business is damaged during a hurricane? Because of the varying types of insurance policies, it’s important to take note of the kind of coverage your have before a storm is set to hit, preferably before hurricane season begins and especially if you live in an area that is typically affected by tropical storms or hurricanes. Here are just a few of the questions you should ask your Insurance provider in order to be well informed in case damage to your home or business is incurred. Keep in mind to always keep any correspondence between you and your insurance provider recorded in case they deny your claim in the future. What does my homeowners/business owners insurance policy cover? What are the various types of coverage included in my homeowners/business owners policy? What is not covered by my Insurance policy? Are my living expenses covered when my home is being repaired after a storm? What are some steps you can take to ensure that you and your family are safe when you return to your home after an evacuation order in a wildfire situation? Here are several tips you can follow to ensure the safety of you and your family after returning from a wildfire evacuation order. In most states, permission to return to your home is give by local fire or law enforcement officials. Once they’ve deemed the affected areas safe and clear of any hazards, such as downed power lines, and home, brush, and other fires have been extinguished, you should receive the all clear to return home. When you approach your home it is best to prepare for any unexpected hazards. Wear boots, pants, and a long-sleeved shirt to help prevent injury. Due to the presence of smoke and ash a face mask is also recommended. Proceed with caution around: charred trees and down power poles (live power lines may be on ground), spot fires and smoldering debris, live embers, ash pits. Check for the smell of gas. If present leave the house and turn off the supply at the tank or outside valve. Open doors and windows and contact utility provider. Check for electrical power. If on temporarily shut it off until you’ve completed the inspection. Check roofs, and floors for structural stability. Inspect roof and attic space for sparks or embers as they can enter through attic vents if not properly screened. Ensure that your rain gutters, roof, porch and other structures on your property are clear of any smoldering debris. Heavy smoke, extreme heat, and nearby flames can impact your home’s air quality. Unless you insurance company claims adjuster has had the appropriate training to conduct quality testing, they are not able to tell whether your home contains harmful particulates or hydrocarbons. Qualified health and environmental safety experts can help you determine if your home is safe, habitable and toxin free. Continue wearing face mask, to avoid breathing in smoke or ash. Restore service to water, power, natural gas etc by contacting utility providers. Check for embers and smoke in attic and crawl space, and continue to monitor in the coming days. Beware of animals that may have taken refuge in your home, garage or surrounding structures. Maintain all correspondence with your insurance provider. Do not start cleaning, and disposing of any damaged items until you have contacted your insurance company. Get advice from your insurance provider on securing your home whether it be covering broken windows, doors, etc. 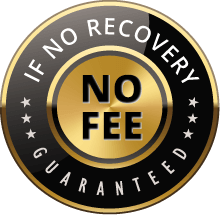 The Voss Law Firm remains committed to providing exceptional legal help to those that find themselves cast aside by Insurance companies in their time of need. Contact us today and find out how we can help hold your Insurance Company accountable. Call 1-888-614-7730 today. How should homeowners prepare for tropical storm or hurricane damages? Take adequate steps to prepare your home and family for the conditions. If you live in a hurricane-prone area, you already know to stock up on emergency supplies and get your house prepared. Make sure you take steps early each spring to review your hurricane plan and prepare for storm season. Review your insurance policies. The best time to look at your hurricane and storm policies are before a storm actually hits. Make sure you understand what kinds of damages are covered and when, and take steps to get the coverage you need if your needs have changed since you took the policy. Consider contractors ahead of time. Major storms are often followed by tons of out-of-town contractors hoping to make money, and homeowners should be wary. Think about local contractors ahead of time that you might prefer to work with, and keep their numbers with your other emergency contacts. Despite your preparations, there is always a chance that you will run into trouble with your insurance claims following a major storm. If you claim has been denied or delayed, don’t hesitate to reach out to our law office for help at 888-614-7730. How can a condominium association start out on the right foot with a hail insurance claim? Understand your policies. Hail can affect both individual units and common areas for the condominium, creating a complex coverage situation. Make sure you understand the master policy held by the condo association, how coverage works, and what your responsibilities are after a loss event. Understand what your claim is really worth. Hail damage isn’t always visible with the naked eye, and you can’t always trust hurried adjusters and contractors to catch the full extent of the losses you’ve sustained. You may need to get several estimates or work with an attorney to determine the full scope and potential worth of your claim. Understand what you sign. One of the biggest mistakes condominium associations make with hail claim is signing documents without fully understanding the ramifications of doing so. Although you may assume that it’s all just “routine” documentation for settling the claim, you can contribute to serious problems with your claim if you don’t review each signature request carefully. Know when to ask for help. If you do end up running into issues with a claim for hail damages, don’t wait to get answers about your rights as a policyholder. There is often room to fight for a fair outcome, even in complicated claims—but you can wreck your rights if you don’t understand what your options are. Do you have questions? Call our law office to talk about your concerns with your claim at 888-614-7730. Our highly experienced policyholder attorneys are prepared to answer your questions and help you take control of your insurance claims after a major storm or disaster. 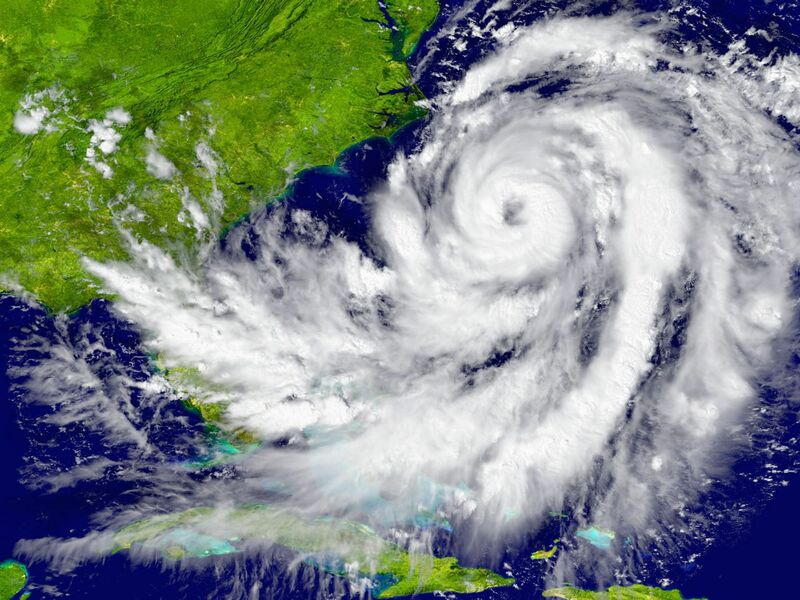 What can oil & gas policyholders do when a hurricane claim is unfairly denied? Insurance claims for hurricane damage to industrial properties are often both complex and costly, including extensive losses caused by wind, rain, floods, and power outages. Despite careful post-storm assessments and the long wait for answers as oil & gas properties sit vacant with millions of dollars of damage, hurricane claims are routinely denied and underpaid—even when the policyholders involved are huge energy corporations. If you are having trouble resolving a hurricane claim for an oil & gas property, contact our experienced attorneys directly at 888-614-7730 to discuss your concerns. Our legal team has worked with commercial and industrial policyholders across the nation after major storms, and we would be happy to provide a free case analysis and discussion of your concerns.